Racing driver Luigi Fagioli, who remains the oldest driver to win a Formula One Grand Prix, was born on this day in 1898 at Osimo, an historic hill town in the Marche region. Fagioli was a highly skilled driver but one who was also renowned for his fiery temperament, frequently clashing with rivals, team-mates and his bosses. It was typical of his behaviour after recording his historic triumph at the F1 French Grand Prix at Reims in 1951 he announced in high dudgeon that he was quitting Formula One there and then. He was furious that his Alfa Romeo team had ordered him during the race to hand his car over to Juan Manuel Fangio, the Argentine who would go on win the 1951 World Championship, which meant the victory was shared rather than his outright. Nonetheless, at 53 years and 22 days, Fagioli's name entered the record books as the oldest F1 Grand Prix winner. Fagioli trained as an accountant but was always fascinated with the new sport of car racing and his background - he was born into a wealthy family of pasta manufacturers - gave him the financial wherewithal to compete. 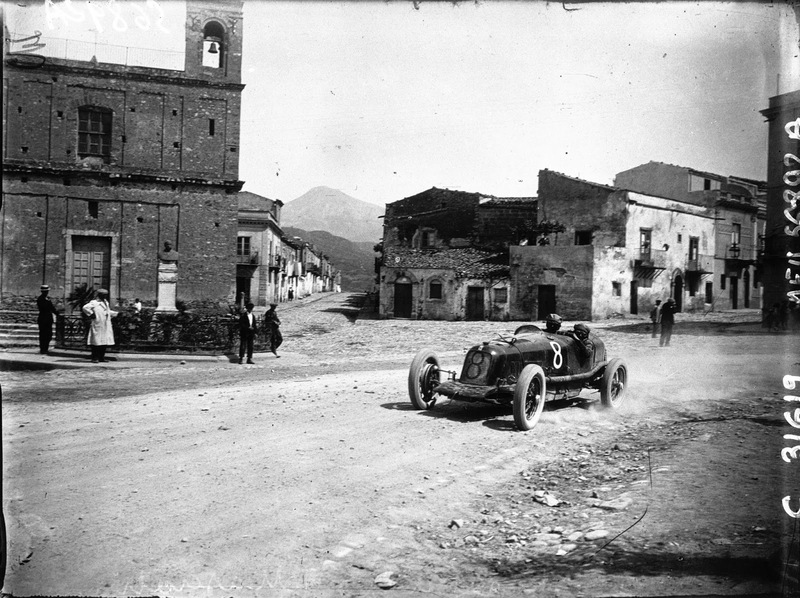 Having made his debut in 1926, he achieved his first major victories after signing as a works driver for Maserati in 1930, finishing first in the Coppa Ciano and the Circuito di Avellino. 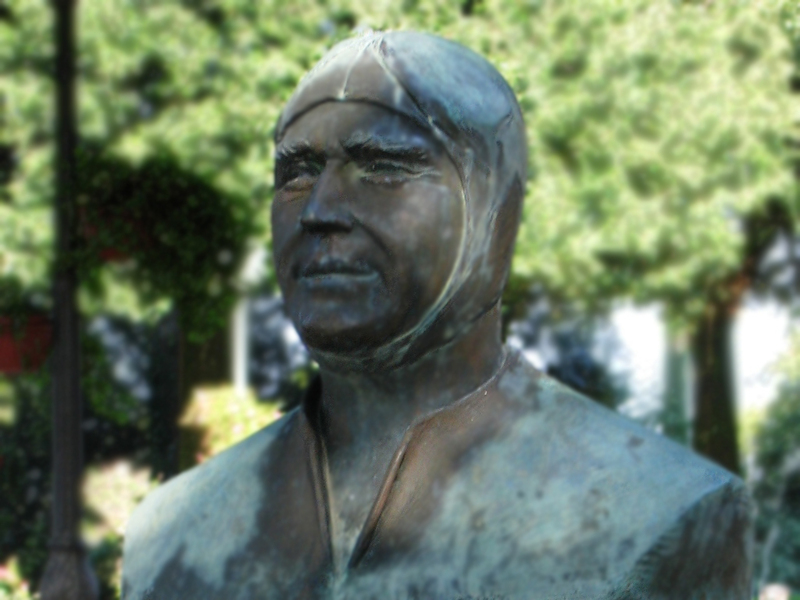 He then won the Monza GP of 1931 and the Rome GP in 1932. In 1933 Fagioli was taken on to race Alfa Romeos for Enzo Ferrari, winning in the Coppa Acerbo and the Italian GP, which in turn earned him a move to Mercedes-Benz. However, his relationship with team-mates Manfred von Brauchitsch and Rudolf Caracciola was fraught with problems. When team manager Alfred Neubauer ordered Fagioli to move over for Brauchitsch in his very first race, the Italian simply dropped out, abandoning his car in disgust. Despite winning three races for Alfa Romeo in 1934 and 1935, Fagioli quit to join Auto Union in 1937, becoming embroiled in an altercation with Caracciola during his first season in which he attacked his former colleague with a wheel hammer. Struggling with rheumatism, which restricted him to the extent that at times he needed the aid of a stick to walk, he did not race again before the Second World War but in 1950, in much better health, he returned to the sport to race for the Alfa Romeo factory team, finishing on the podium in all but one race and finishing third in the inaugural F1 World Championship. After his controversial exit from Formula One, he signed to drive in sportscar events for Lancia, taking great delight in finishing in front of Caracciola when he was third in the 1952 Mille Miglia. His aggressive driving style sometimes bordered on the reckless and he had many accidents, one of which forced him out of a supporting race at the Monaco GP meeting in June of that year. He broke a hand and a leg, which seemed relatively minor injuries, but he developed complications as he recovered in hospital and three weeks later, at the age of only 54, he died. 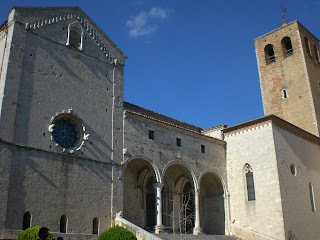 The town of Osimo, perched on top of a hill about 15 kilometres from the port of Ancona, can trace its origins to 200BC and parts if the city walls dating back to that time remain intact. It is dominated by the Cathedral of San Leopardo, the main structure of which was built between the 12th and 13th centuries.